Dr. Jack McMahon - Helena OB/GYN Associates, P.C. Jack W. McMahon, MD and Andrew Malany, MD, P.C. We are pleased to announce Dr. Mcmahons provider team. Your OB/Gyn provider TEAM is a partnership of Jack McMahon, MD, Becca Moore, APRN, FNP, and Tiffany Lamping PA-C who have combined their skills and experience to provide you with excellent care. With this new team, you will continue to receive the outstanding care from Jack McMahon, MD with the added benefit of being seen by our newest providers, Becca Moore, APRN FNP, and Tiffany Lamping for your care needs. You will see Dr. McMahon, Rebecca Moore and Tiffany Lamping throughout your patient care. Jack W. McMahon, Jr., MD is an obstertrician and gynecologist with Helena OB/GYN Associates P.C. Dr. McMahon,a graduate of Carroll College, received his medical degree from the University of Washington, Seattle. He completed his post graduate studies at Maricopa Medical Center in Phoenix, Arizona. He is a fellow in the American College of Obsterics and Gynecology, a memeber of the American Medical Association, the Montana Medical Association, and the American Association of Gynecologic Laporoscopists. 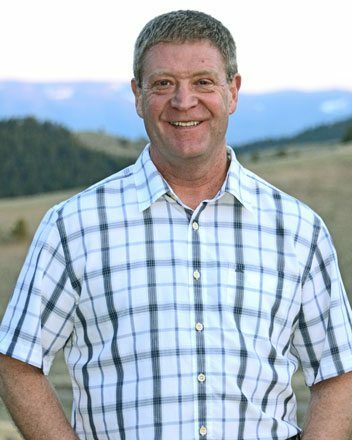 As a Helena native, Dr. McMahon enjoys golf, skiing, mountain biking and spending time with his wife Leanne and children, Anna, Michael, Laura, Jackson, Mia, Tatum, Josie, and Allysa.